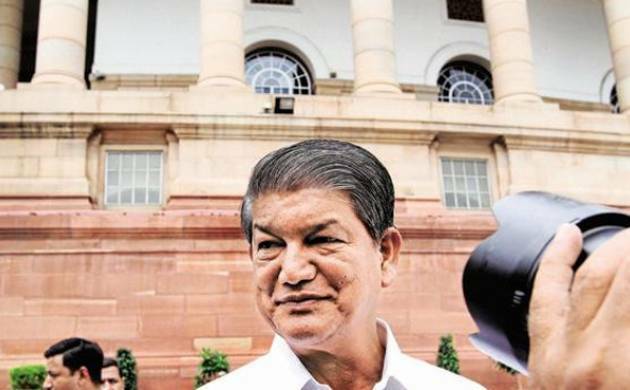 Accusing Uttarakhand Chief Minister Harish Rawat of “misusing” public money, BJP today demanded that a case be registered against him and the DG of Information and Public Relations for putting out advertisement aimed at “personal image building” in violation of a Supreme Court directive. Referring to a full-page advertisement put out by the Directorate of Information and Public Relations in several newspapers on May 23, BJP spokesperson Munna Singh Chauhan said it was not at all related to matters of public interest and welfare. “Putting out ads in newspapers and the media is the government’s prerogative and we have no objection to that. But a look at the content of the ad makes it clear it is not related to any matter of public interest. “It has been brought out clearly to push the political agenda of the CM and is also highly critical of CBI which was to interrogate him just a day later in connection with the sting CD case,” Chauhan said. Alleging that the advertisement was virtually Rawat’s “mercy petition” before the people of the state a day before his interrogation by the investigating agency, the BJP leader said it was like an “election poster” painting the CM as the “survivor of a conspiracy to finish him politically”. Chauhan claimed the advertisement put out by the Directorate of Information and Public Relations at the behest of the chief minister was not just violation of the Supreme Court ruling against spending of public money over personal image building of a politician but was also against the CBI. It was as a result of this ad that there was a protest against CBI in New Delhi, he said, demanding that a case be registered against the chief minister for alleged breach of peace. The party will soon call on Governor K K Paul seeking a direction to the law enforcement agencies to register a case against the CM and the Director General of Information and Public Relations for publishing the ad. The advertisement shows Rawat thanking the deities of Uttarakhand, its people, his MLAs and the Congress’ central and state leaderships for their support during the recent political crisis in Uttarakhand. It also speaks of a “conspiracy” to finish Rawat politically by “dragging him into a CBI probe” and lowering his image in the eyes of the people of Uttarakhand. Chauhan said the DG of Information and Public Relations must be booked as he issued orders for putting out the ad which was critical of the country’s apex investigating agency and thus became party to a political campaign. “How can a government official become part of a political campaign to vilify the CBI,” he asked.